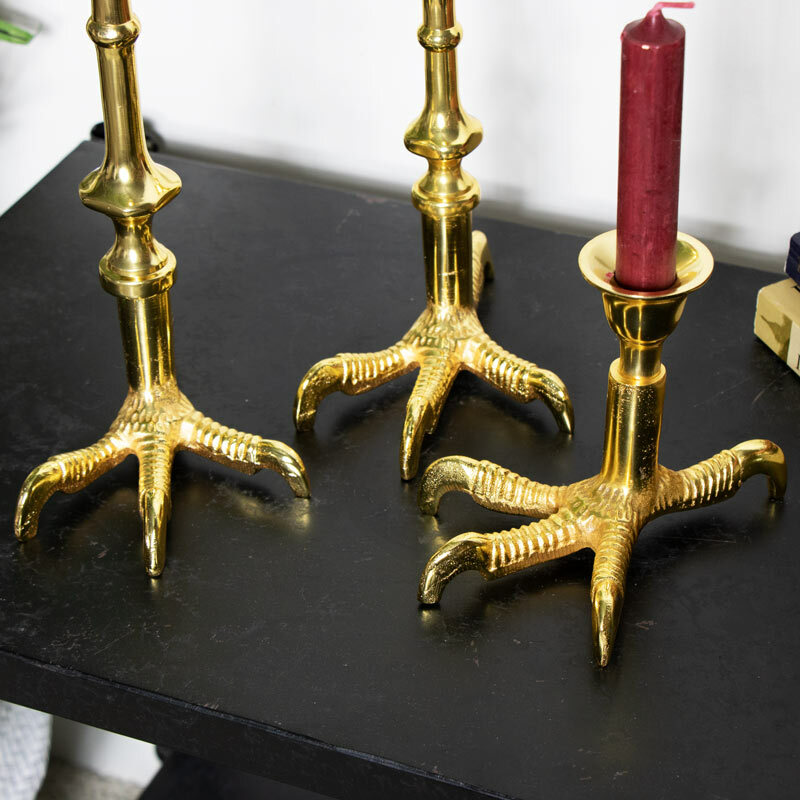 This set of 3 candlesticks are the perfect gift or home accessory for anyone that loves the quirky and unusual. 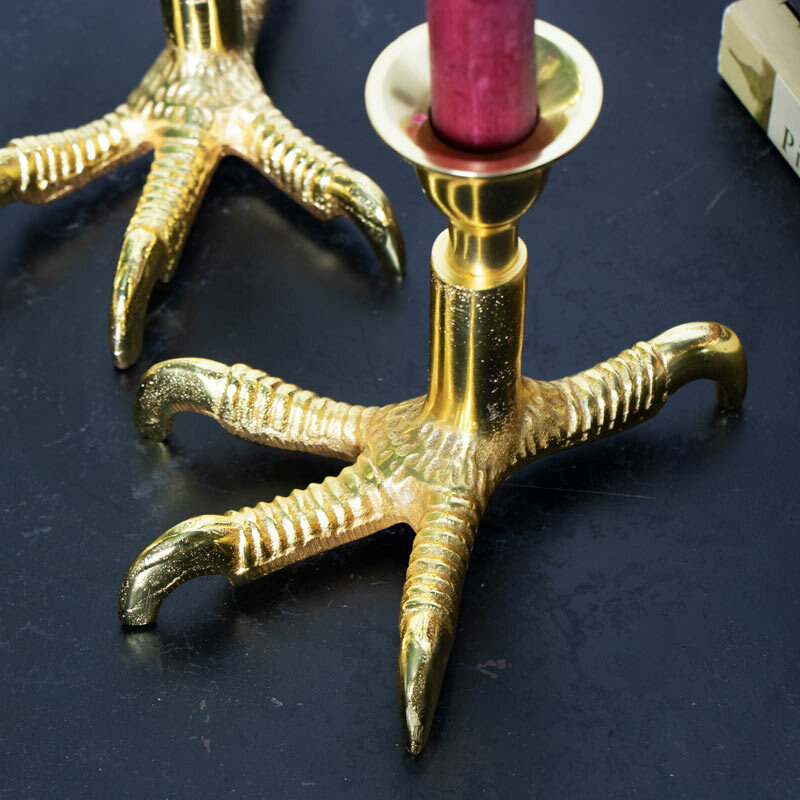 Finished in a polished gold, each comes with a bird's claw shaped base. Perfect for holding dinner candles and an amazing centrepiece. Unusual and fun design with a touch of gothic styling. 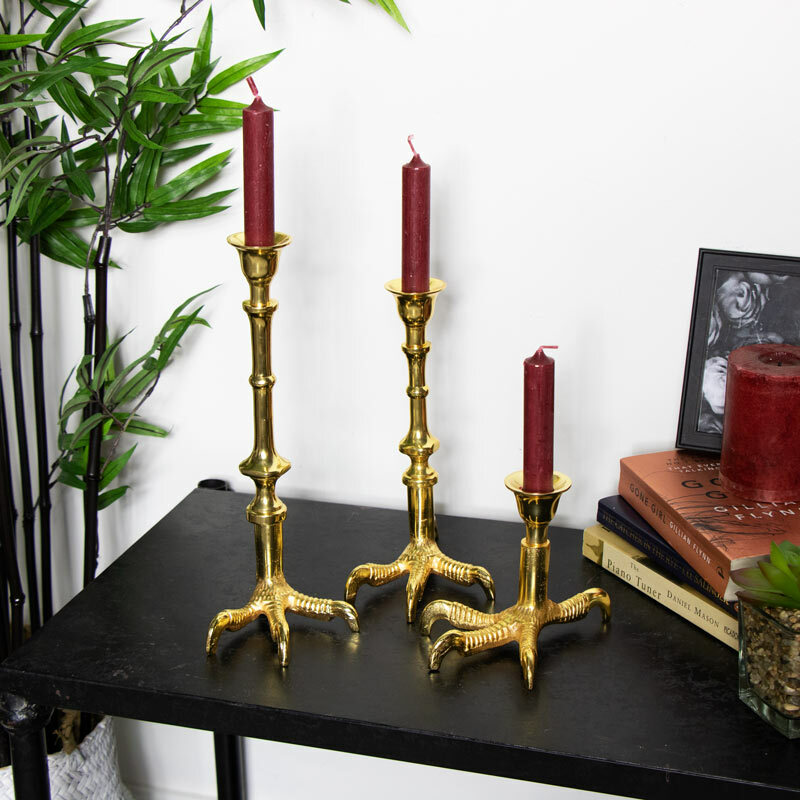 The candlesticks comes in 3 different sizes from tall to short and holds a standard taper candle. Add some warm candlelight in the living room or at the dinner table. Eye catching design that will also make an excellent conversation point. Made from metal and finished in a polished gold colour. Holds standard dinner candle. 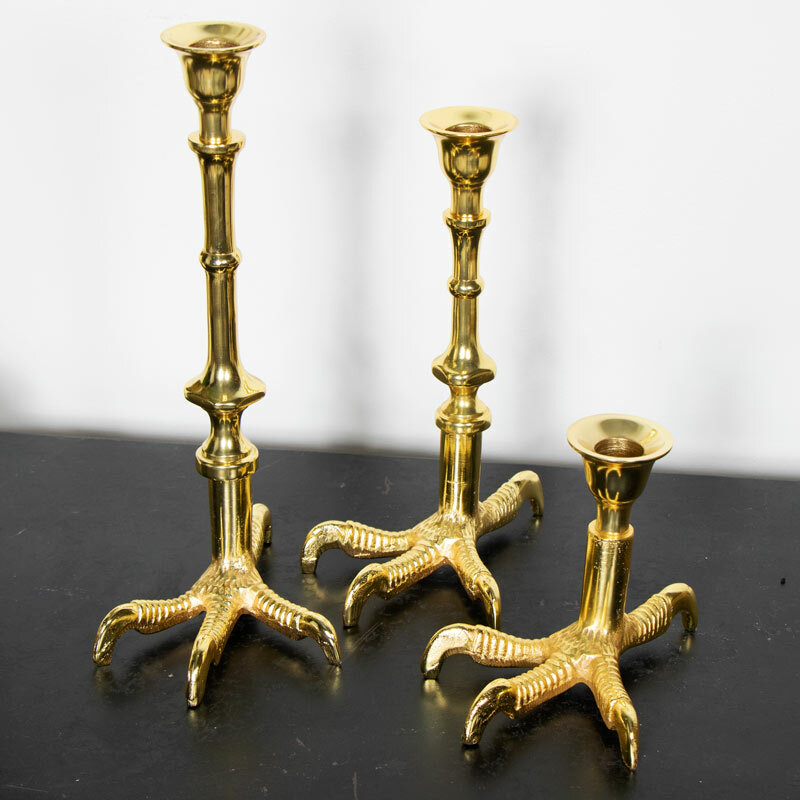 We have a fantastic selection of candlestick, candelabra and tealight holders for you to choose from. In a great choice of styles in designs to suit all tastes.